Two brickworks in close proximity in Ely, Cardiff operated by William Thorne & Sons. One cited as at Cowbridge Road, Ely, but was about a quarter mile from the named road. The other works at Caerau, named West End, a short distance away. The first reference to the firm is in Kelly's 1906 directory although the Cowbridge Road works appears on the 1901 OS map. The Caerau works which is shown as West End doesn't appear until a later edition of the map. 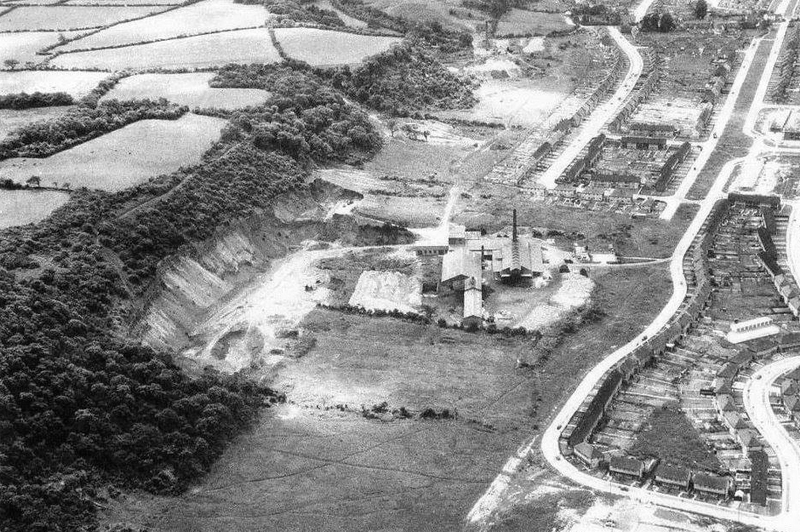 Both works appear to have shut down around the time of WW2 and re-emerged as Welsh Brick Industries (1946) Ltd with the former Cowbridge Road works now named Highland Park Brickworks. West End closed in 1962 and Highland Park in 1975. K 1906 Westend Brick Works Co. Cowbridge Road, Ely, Cardiff. K 1914 Thorne [Wm] & Sons, Caerau, Cardiff. Thorne [William] & Son, Cowbridge Road, Ely, Cardiff. K 1920 Thorne [Wm] & Sons, Caerau, Cardiff. Thorne [William] & Son, Cowbridge Road, Ely, Cardiff. ID 52 Welsh Brick Industries (1946) Ltd. Highland Park Brick Works, Amroth Road, Ely,Cardiff. Clay 61 Welsh Brick Industries (1946) Ltd, Highland Park Brick Works, Ely, Cardiff. ID 64 Welsh Brick Industries (1946) Ltd, Highland Park Brick Works, Amroth Road, Ely, Cardiff. Telephone: Cardiff 71304. Common bricks, pressed and wirecuts, multi rustic sandfaced. MSG/125 Lister locomotive of (query) 2'6" gauge supplied in 1938 to W Thorne & Sons and delivered to Caerau works. To further confuse the Ely Brickworks there is another works first shown on the 1901 OS 6" map. This is seen as Ely Brickworks but was obviously not in use for a very long period as by the time of the 1915 OS map the site is shown as Old Marl Pit with no buildings. It is not known whether this was another of Thorne's works as no reference can be found other than this map.